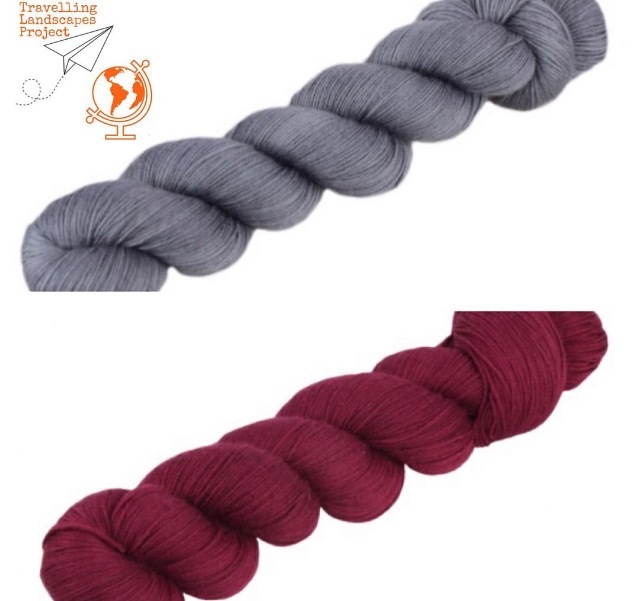 I knew I wanted to pick something neutral as a base so that I could let the voting excite me with the choice of the brighter/more playful colours. I went through the Wollmeise website colours (approximately 1, 111 of them, by the way – what a selection!) and chose Maus Jung. I didn’t just pick grey because it’s my favourite neutral for yarn. Grey reminds me of Germany: the cobblestones and asphalt, the misty weather, the rainy winters. It’s an urban colour for a very urban country. I first went to Germany when I was 18 and up to that point had spent most of my life in the prairies. The prairies have 4 main colours: green plants bursting forth in spring, blue in the endless sky, autumn gold at harvest time, and white for 7 snowy months. I found Germany such a contrast. It was Christmas 1993, but there was no snow. In fact, it was flooding and that was the first flood I’d ever seen. We were just coming out of a decade of drought. The landscape was concrete, urban, and grey, with wet, grey skies and fast-moving steely rivers over-flowing their bounds and menacing the towns. The colour that won the Instagram vote – more than doubling the nearest contender – was a colour I almost didn’t include. It’s a dark, dark pink, or perhaps a light red. I’ll see once I get there and have it in my hands. It’s actually a fantastic colour for this project though. You see, we are splitting our time between Germany and Romania. Romania is a country I know only through a Cold War childhood perspective and the stories of my in-laws. It seems like a much redder country than Germany. More impulsive and demonstrative. More paprika, although I know that’s Hungary more than anywhere. Still, if I had been asked to give Romania a colour, I think it would have been red, but I didn’t realize that connection until it won the vote. How I’m going to integrate the two colours is something I’m really excited to explore. I’m also really looking forward to seeing how I can contrast texture with lace.